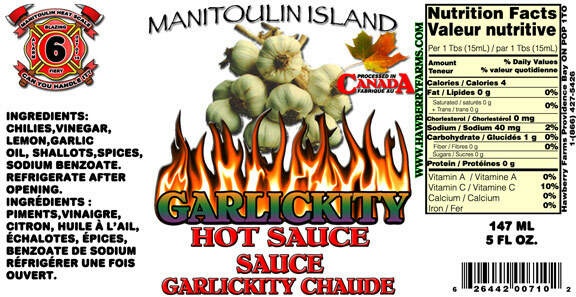 Click the button below to add the Garlickity Hot Sauce to your wish list. Generates heat and exotic flavours! Use to spice up any dish. Still not as good as the Peri Peri hot sauce. A perfect blend of garlic,chilies, & lemon. Great on seafood.